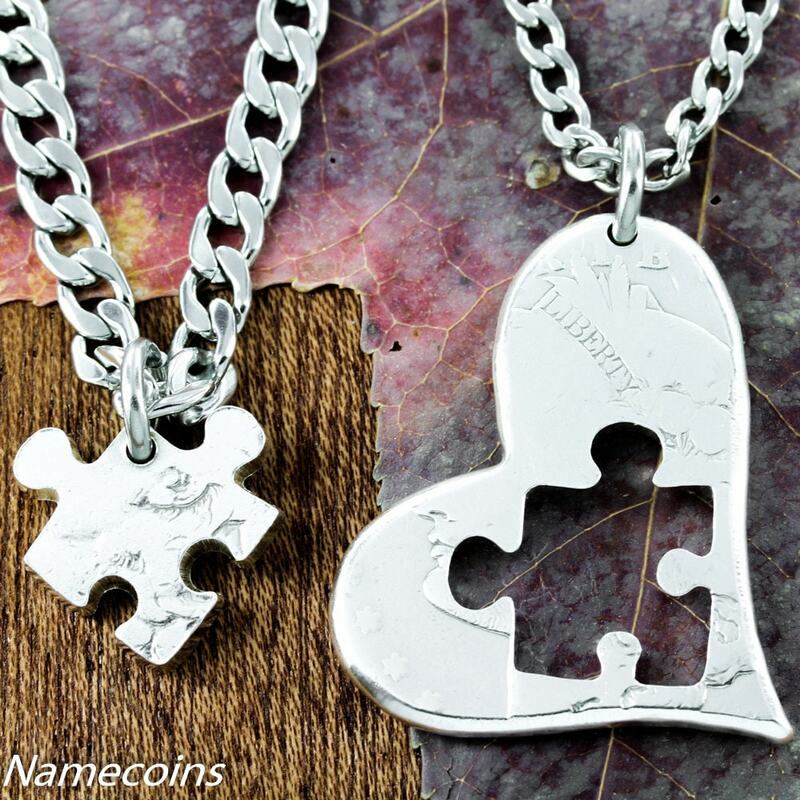 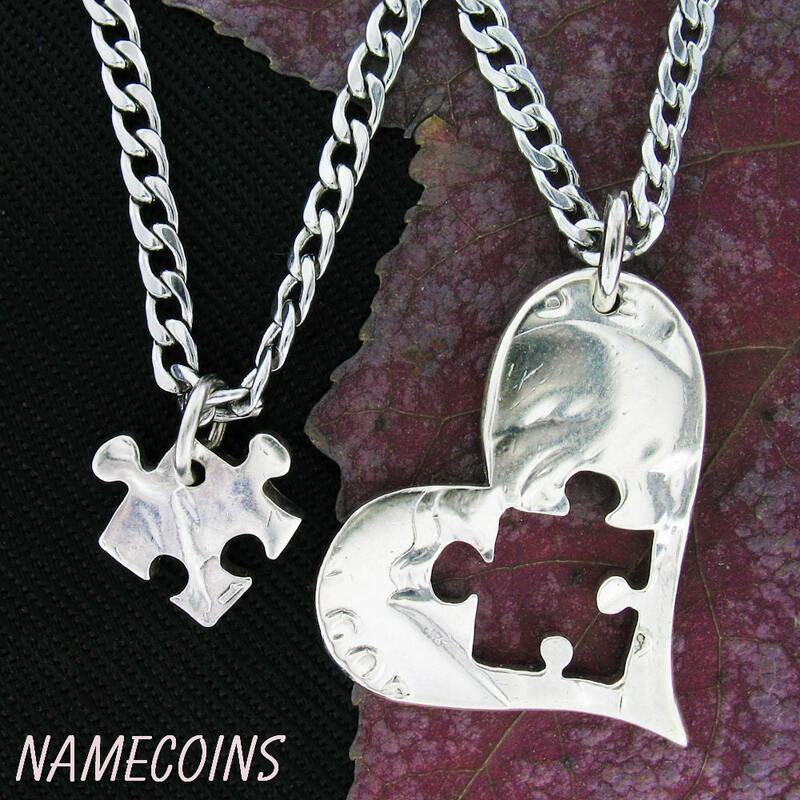 This interlocking heart with puzzle piece necklace would make a sweet and trendy necklace for you and your special someone. 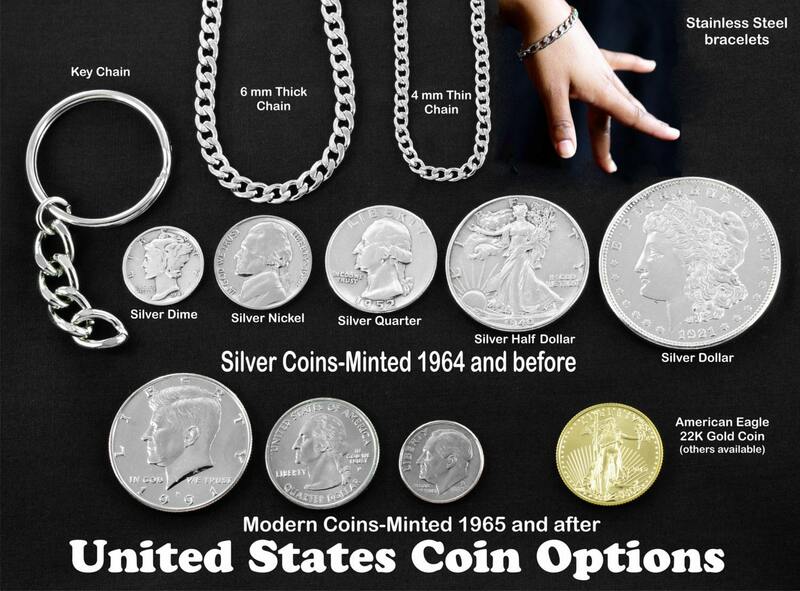 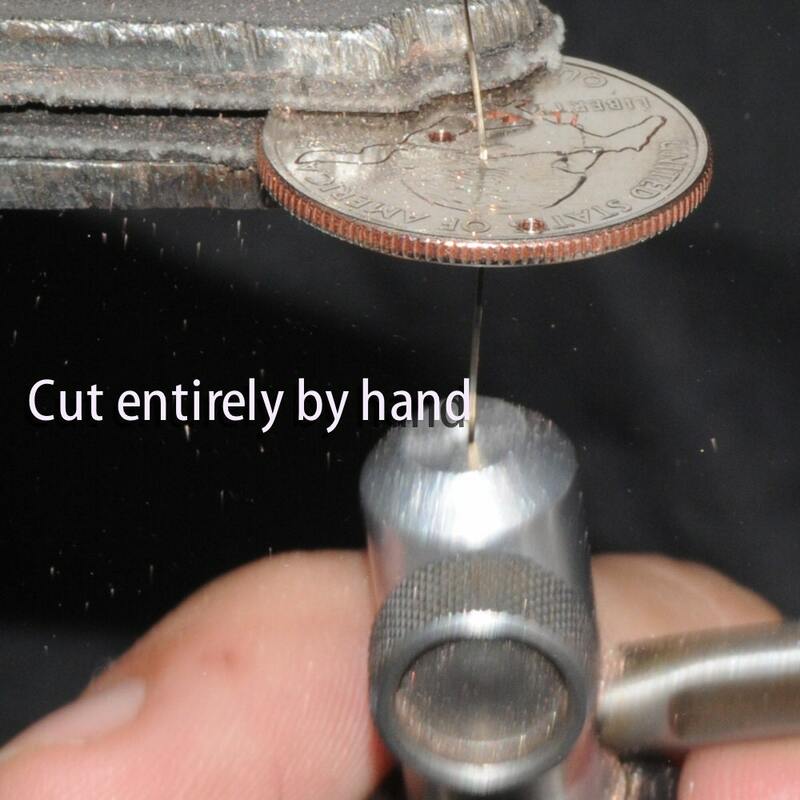 The 2nd picture shows a silver half dollar and the 3rd shows a silver dollar and its size relative to a quarter. 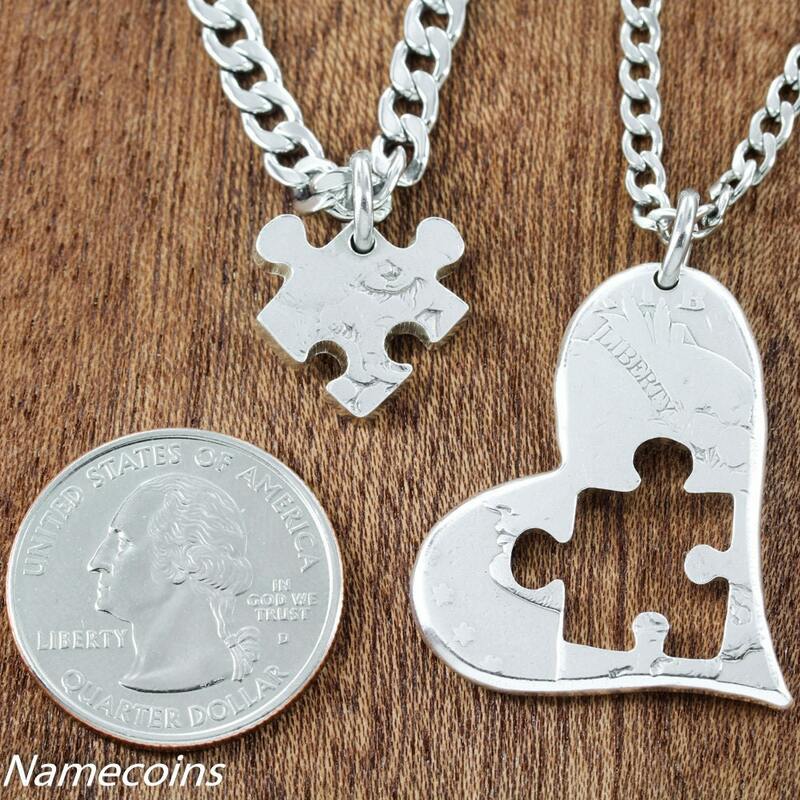 We have high quality stainless steel chains and key chains.